Hey gang, just wanted to let you know how much we enjoyed our trip , fishing was great and the weather was nice until the day we left. worked out perfect. Y'all take care and again thanks for everything. Thanks again for a great fishing trip. As usual, everything was outstanding. 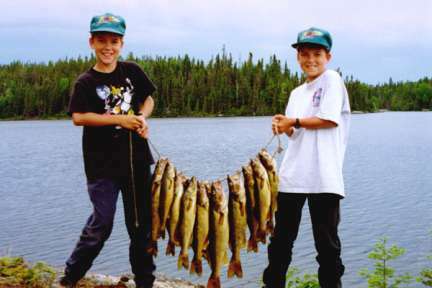 Norse Lake is a prime example of a remote Canadian fly-in fishing wilderness lake. The lake is protected by high picturesque landscape. On the days when a high wind would normally blow your boat off the average lake, Norse stays pretty calm. 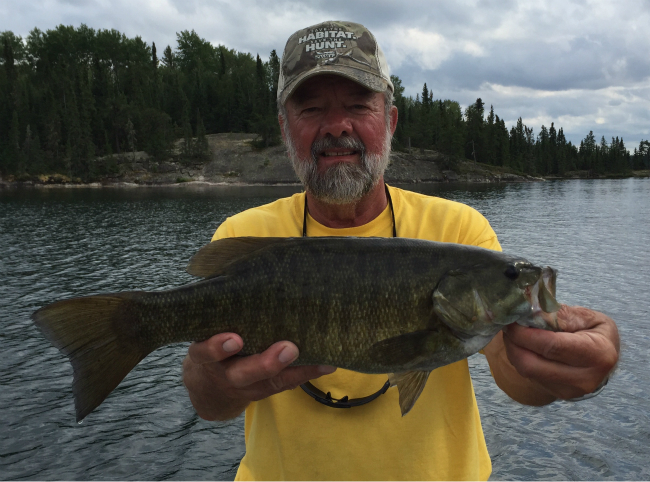 Excellent sport fishing consists of Walleye, Northern Pike and Smallmouth Bass. Schools of Walleye average 1-3 lbs., with 4-10 lb. trophies caught every season. 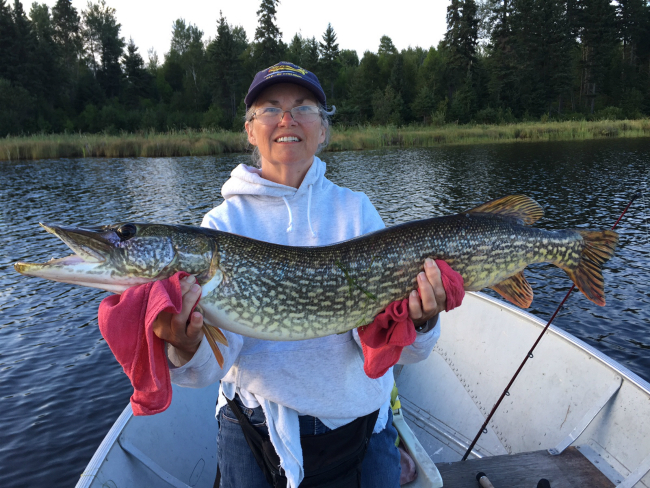 The lake also sports a healthy population of Northern Pike with trophies reaching up to and over 40 inches every season. 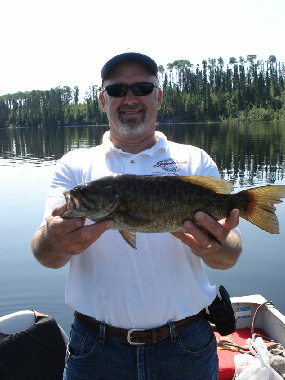 Also, there is a good Smallmouth Bass population reaching up to the 5 lb. class. 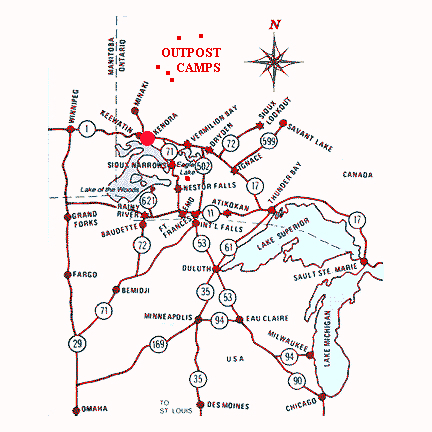 In addition to Norse Lake, we have a portage trail along an unspoiled wilderness rapids leading to Little Norse Lake. Little Norse is teaming with more Walleye, Smallmouth and Northern Pike. 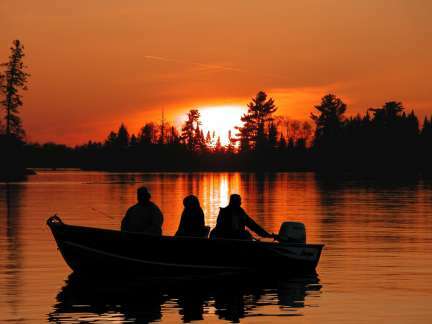 All you carry is your fishing pole as we already have the boat and motor waiting for you. 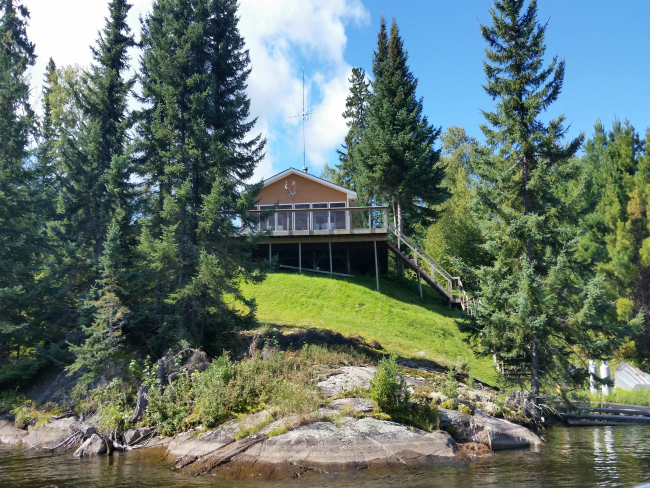 The Wolve’s Den is a two-bedroom, deluxe cottage located on the west end of Norse Lake. It has complete kitchen facilities with hot and cold running water, hot shower, a cathedral ceiling with skylights in the living area, and a large screened-in porch which leads to a beautiful wraparound deck with a view overlooking the lake for 2 miles. The view looking north is magnificent and guests frequently watch he northern lights. Boats and motors are 16-foot Lunds with swivel seats and new Yamaha motors. Give us a call for all the details! Group sizes from two to six people.